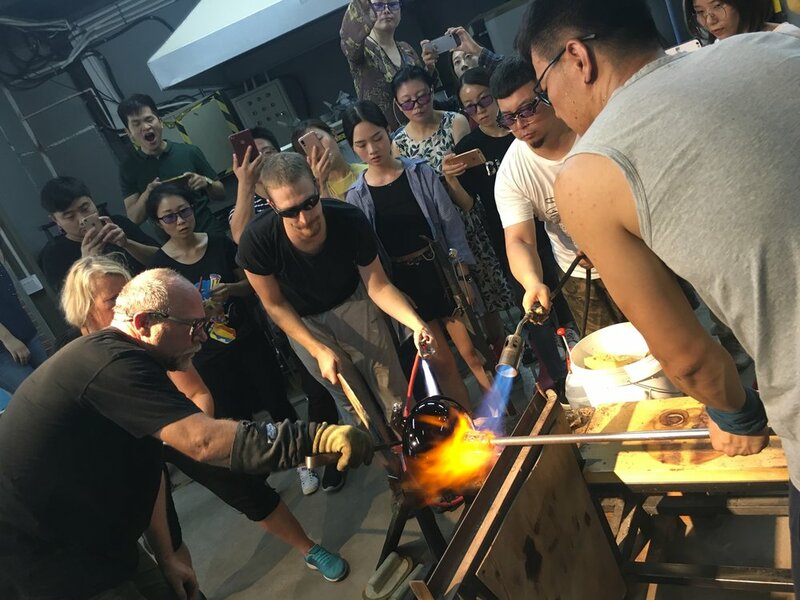 We were lucky enough to be asked to teach at a conference at Jilin University of the Arts in China in August. While there we taught students and professors from across China who had come to attend this 3 month government sponsored event. It was a incredible experience, from teaching these eager to learn students, seeing the facilities at the school and experience the history and beauty of this country. The images below are some of the few that capture this amazing experience. We love to travel but travelling with glass is the best - because we meet people who are as in love with glass as we are. Click on the photo below for a mini slide show!